My love affair with Accra Beans started when I was pregnant with my second girl. Before then, I had not paid much attention to the snack. There is something about pregnancy that makes you love a particular meal so much. Sometimes you could even get addicted to it. That was how Accra Beans hooked me oo. At the time, I was teaching part-time at a private university which was very close to Great Soppo market in Buea in the South West region of Cameroon. After lectures, which always took place on the market day I would walk to the market and purchase a good quantity of the snack from a lady who fried it on the spot. Accra beans was the reason I walked so fast after alighting from the cab. I couldn’t always wait to get home and eat them. Accra beans was the reason I turned some taxis into part-time dining rooms. I would run out of patience and open the plastic bag in which they were wrapped and quickly munch some. And right now, even without the pregnancy hormones, I’m still head over heels in love with Accra. When you love something so much, it is only fair to yourself that you learn how to make it. There won’t be Mami Accras always but there will always be hungry mouths. The best part is that you do not have to be in Africa to make these! The key ingredient, black-eyed peas is present almost everywhere. Just check the beans isle of your grocery store. I tell ya brethren, there is Koki beans in a location near you. Accra is a popular street food in Cameroon. It is hawked, sold in little food kiosks and widely loved. These chops are a phenomenal way to bring out the goodness in black-eyed peas. The beans are peeled, soaked in water for some hours, ground and deep fried. Sometimes powdered black eyed peas can be mixed with water and used in place of the freshly ground version. In fact, my first attempts at making the snack was when my sweet mom sent me some packets of powdered black eyed peas (Koki Beans). 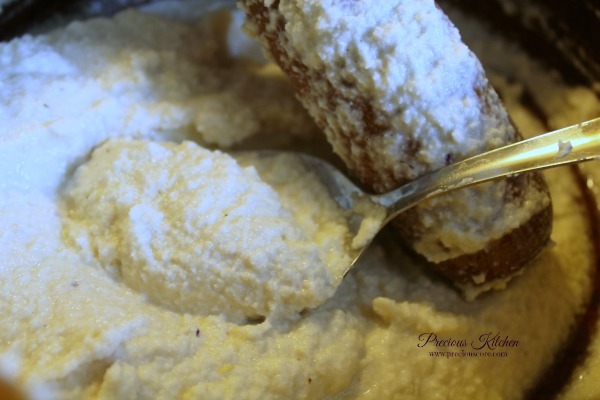 With the powdered version, they taste great but have a texture that is different from that made with fresh beans. I prefer fresh beans any day anytime! They take a long time to make but each bite is worth the stress. 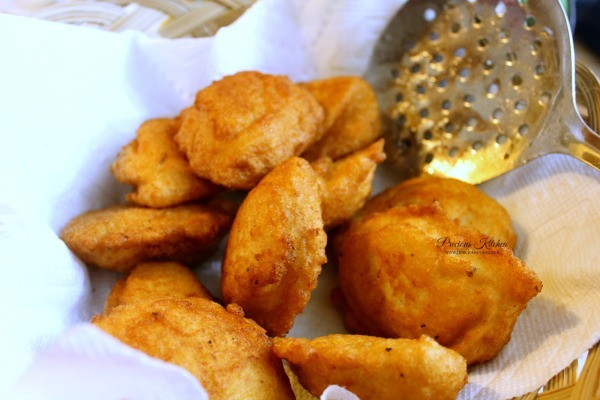 In culinary terminology, this snack is dubbed, “Black Eyed Peas Fritters.” But if you are a contri geh like me, call it Accra Beans for Cameroonians or Akara for Nigerians. 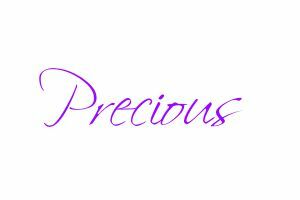 Make sure you mouth opens wide while you are pronouncing it! I hear other countries make it too but I haven’t done sufficient research on that. These fritters are crunchy on the outside when freshly made and softer on the inside. They can be eaten as an appetizer, a breakfast dish or a snack. 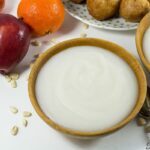 For breakfast, serve with Pap (a porridge made out of corn) or Custard. You could use these fritters to fill up your bread and eat as a sandwich. Many Cameroonians eat it this way and I have heard them sing many praises to Accra Beans in the process. I typically eat them as a snack with my killer pepper sauce. 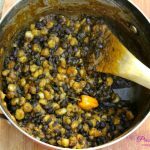 To make this recipe you will only need Koki beans, salt, vegetable oil and onion. Peel the skin off the beans the night before by soaking for five minutes and pulsing in a blender for two minutes. Pour in sufficient water to make the skins float. Drain the skins using a colander. Add back water and keep draining the skins until they are all gone. Let the beans soak in water overnight. The next morning, drain and blend in a blender with very little water. 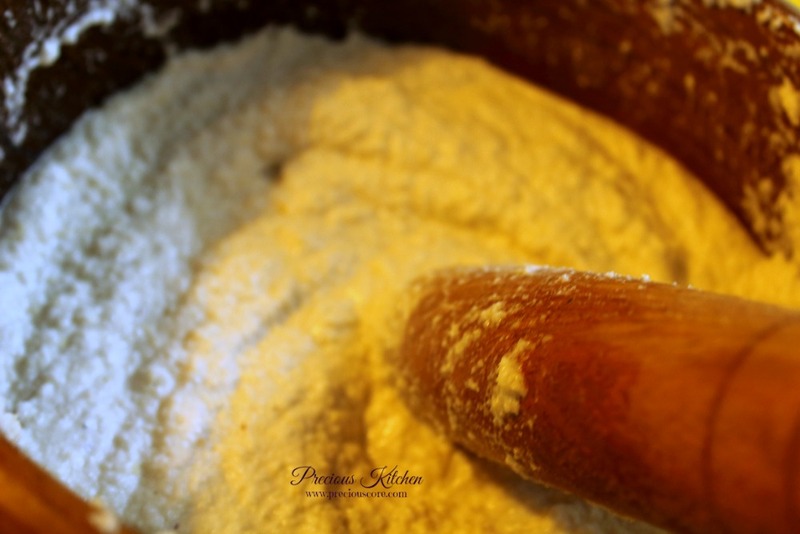 You need the paste to be really thick so do not add much water in the blender. I strongly suggest that you use the small compartment of your blender and blend it into a smooth paste. Pour into a bowl. I poured into my dreamy “motar and pestle” because that’s how Mami Accra does it. You could use a wooden spoon and regular kitchen bowl for this. 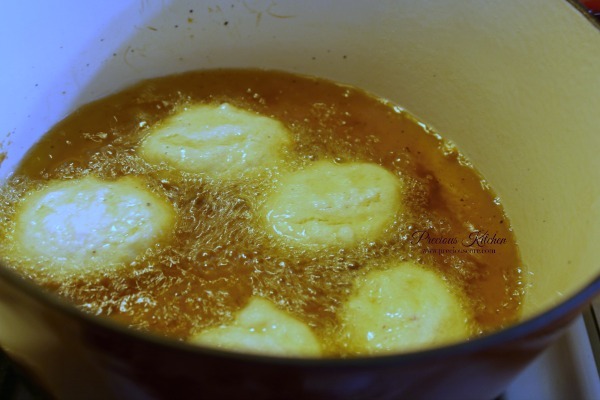 Put in a good teaspoon of salt and begin to stir in circular motion. This helps the mixture trap in air and rise so your Accras won’t be dense. 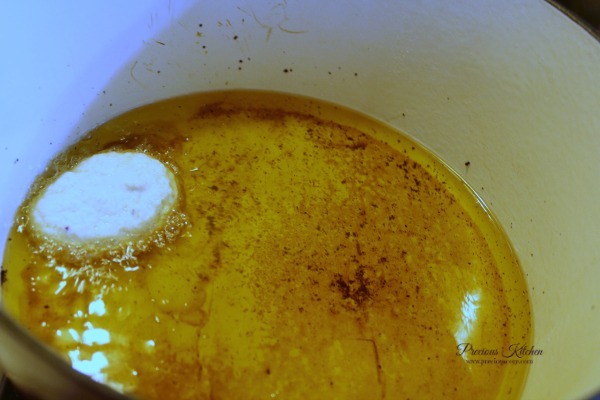 Set your oil to heat upon medium high heat. Use a flat-headed cook spoon to scoop out some of the dough and place into the oil. I always just do one scoop first to see if the oil is hot enough. If it fries well, I rejoice then I flip to the other side. By fries well, I mean if it turns golden brown in colour. Then I repeat the process with the rest. Put in a couple of spoonfuls into the oil. Be careful not to overcrowd your pot. 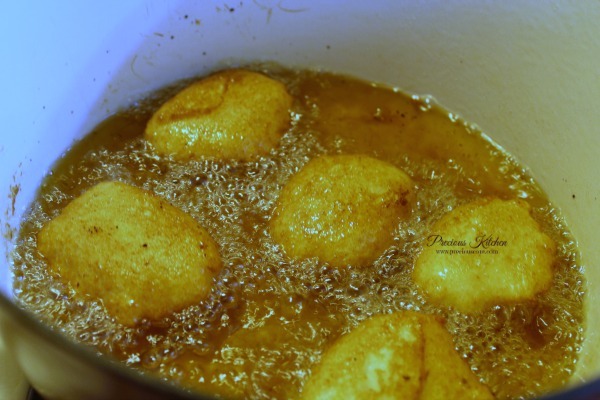 Let them fry on each side for about two minutes.They tend to swell a little when they fry. 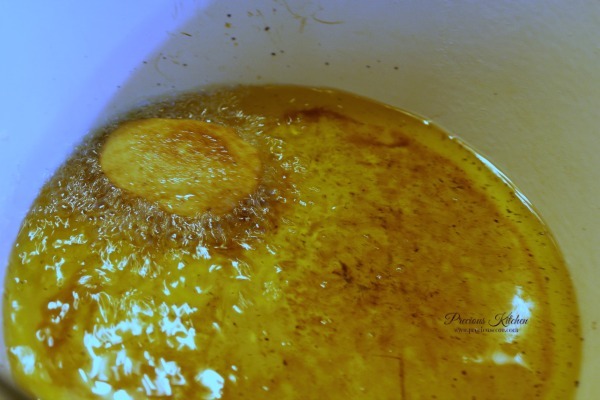 Remove and place on paper towel to absorb excess oil. At this point grab one and take a divine bite. Don’t forget the phenomenal pepper sauce to munch with. That’s the printable recipe below! A Cameroonian vegan snack made out of black-eyed peas. Soak beans in 4 cups of water for 5 minutes. Put into a blender and pulse for 2 minutes to remove the bean skins. Don’t be scared, the blender won’t grind your beans. You only have to pulse for about two minutes to take out the skin. Put in a bowl and pour in 8 cups of water. The skins will float. Pour the water above the beans into a colander so you take off the floating skins. Repeat process until the skins are all gone. You may have a few here and there but that’s okay! If some beans are still whole, slightly rub them with your hands to take off the skin. Soak in four cups of water overnight or for about 6 hours.Step 2: Put the beans and chopped onion in a blender and blend with VERY LITTLE water into a smooth paste. I first crush the beans without water then I add a little water and blend again so it can be transformed into a paste. If your blender has a small compartment, use it instead. I noticed that my small compartment is more effective. It may take a while but be patient and blend it in small batches for best results. IF YOU HAVE A FOOD PROCESSOR THEN USE IT. IT IS PERFECT FOR THIS. Use it to grind the beans without water. Traditionally the beans should be ground without water but you can’t achieve that with a blender.Step 3: Pour your ground beans into a bowl and start stirring in circular motion. This helps to trap air into the mixture so the fritters won’t be dense after frying. Half way through the stirring, put your oil on the fire to heat up then you put salt into the mixture and keep stirring. The mixture should taste slightly salty than you would normally have food taste. When it gets fried, the saltiness will be neutralised. However, if you put ‘just enough’ salt, then your Accra might turn out tasteless.Step 4: Begin frying on medium heat. Scoop with a spoon and pour into oil. When one side is brown, flip to the other side. You do not need seasoning cubes (maggi/knorr) for Accra. You could add some chili pepper to the beans before grinding if you want some heat. This is totally optional. 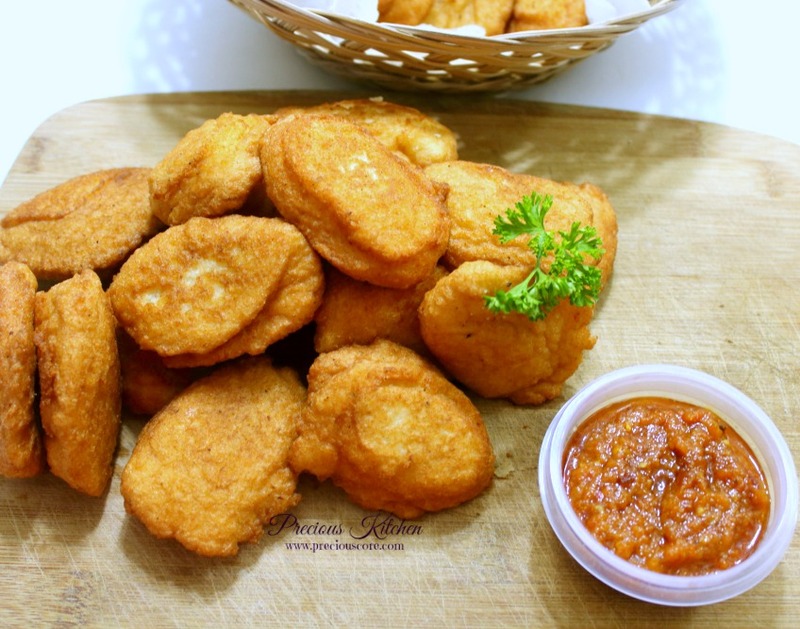 I saw the topic and photo and said "this has to be akara." 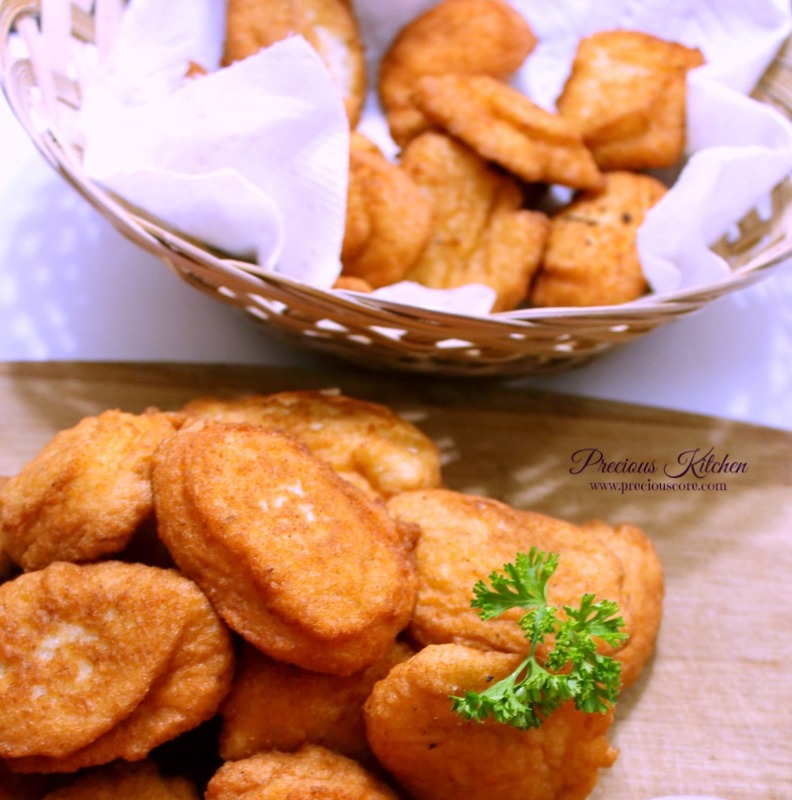 I love akara – hate the oil – but love akara. Did you know you can also make it without peeling? It's somewhere on 9jafoodie's website. 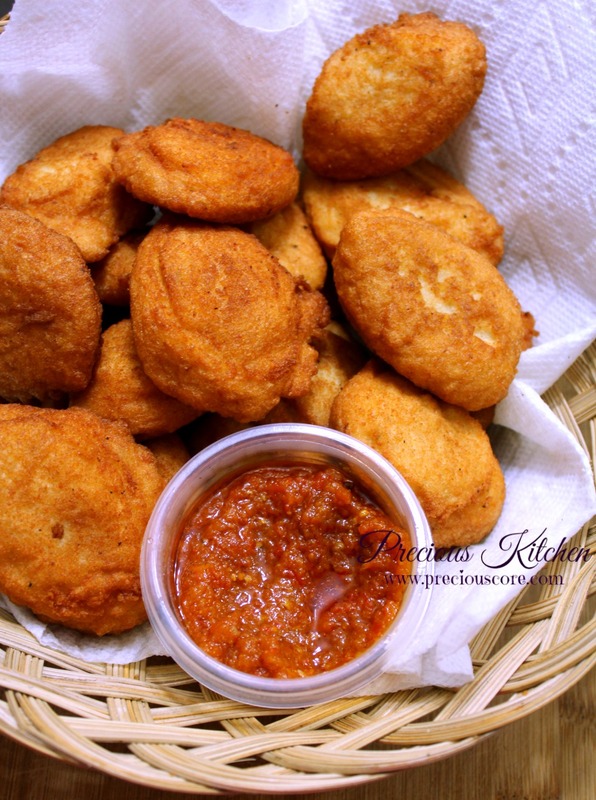 This is Akara yes? Love it! I'm so fascinated by the food fusion in AFrica! And this printable recipe idea is the best! Thank you. 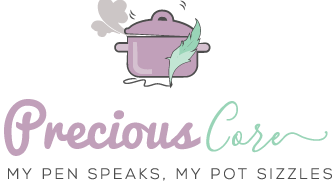 Now I don't have to keep using my phone when I need a recipe from here! 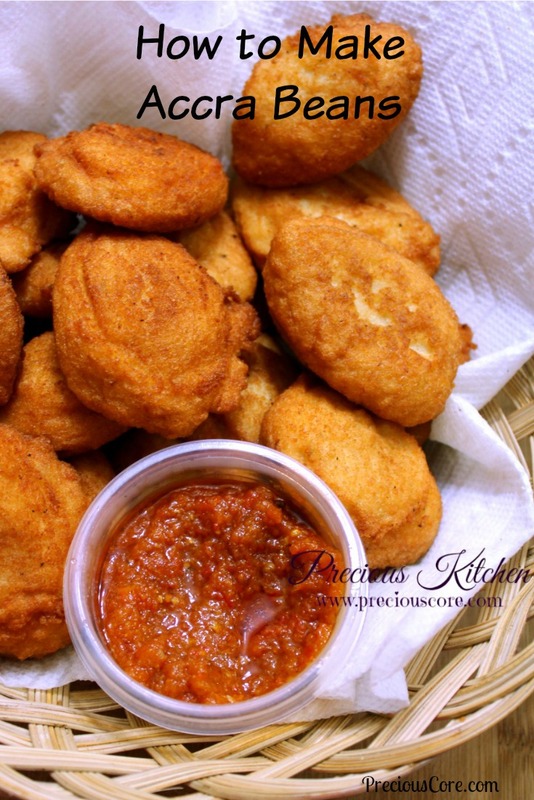 It is definitely Akara. Our food is so similar! The printable recipe makes life easy. I'm so happy about it. I will find out the name they call it in Benin Republic, sincerely, I love the way they make their own too, the inside is more succulent that that of Nigeria. Awww Bubu, your words warm my heart. Isn't it amazing, how similar we are? Nice to meet you, dear. I'll be following you right back. Wow, didn't know it could be made without peeling the beans. I'll check 9jafoodie's site for that.Thanks for the tip, Berry! Hahaha Seraph, I've never had it with garri (cassava krispies infused in chilled water LOL!) but you are making me want to try it like right now! Looks like many countries make this deliciousness. Accra and pap on a cold Buea August morning and you just go you back under the blanket and sleep! Divine. Love the printable recipe version. Thanks dear. Will just go round and check those recipes I want to try and print them out. Like the Famous Challah bread. That accra and garri nova hear. Abeg my sister, try that thing and you will not remain the same. If you did not sleep few minutes after taking it, you did not walk in the hot sun. I am actually eating it now. Phenomenal! Accra and pap is truly divine, sis. I've not updated the Challah post with a printable recipe but from now on, printable recipes all the way! I normally peel the beans and soak at night so in the morning it's easier for me to make it. I'll definitely try the one with skins on. That should be easy! Wow! this is interesting dear! Looks yummy too.Your camera is dope..Well done dearie. Thanks dear for these beautiful recipe. 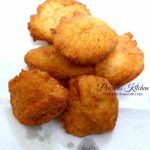 Your puff puff and gateau recipes were so on point. I am so going to try this akra beans. Love it. Thank you very much indeed. 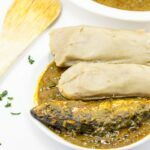 I love your accra beans recipe and preparation method. I used your method and prepared the best accra beans but I went to the African stores but could not find pap. I will be contacting you on how to prepare fresh nice green usually eaten with plantains in Cameroon and Okonobong vegetable preparation. I don’t want to depend on women for good tasting and healthy Cameroon foods anymore. I live by myself and I am determined to eat healthy. GEORGIA USA. You’re most welcome, Victor! Thanks for the awesome feedback! That Great Soppo market Accra! At some point in my life I ate that every Tuesday. Thanks so much, Gerry! yes that Great Soppo mami made me poor every Tuesday and Saturday. Pre…easy to follow recipe. Mami accra my money go rest small from you. Joy you’re so right. Pap and accra with this Buea cold is magic. I buy every Saturday at the Central market and make a big dish of pap for my brood. Hahaha Great Soppo mami! You are so funny! It is truly magical with pap. Now I want some. Thanks so much for the encouragement, Ebot.